Northmont Team Physician Dr. Mike Barrow is shown presenting the Athlete of the Month award to Makayla Cooper. 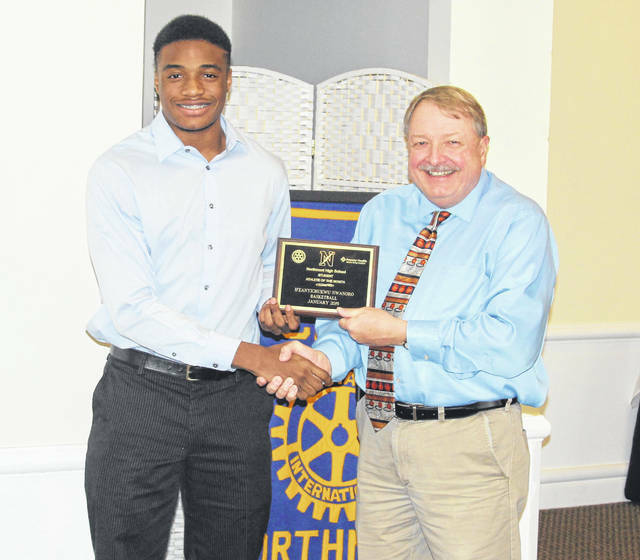 Ifeanyichukwu Nwanoro is pictured receiving his Athlete of the Month award from Northmont Team Physician Michael W. Barrow, M.D. 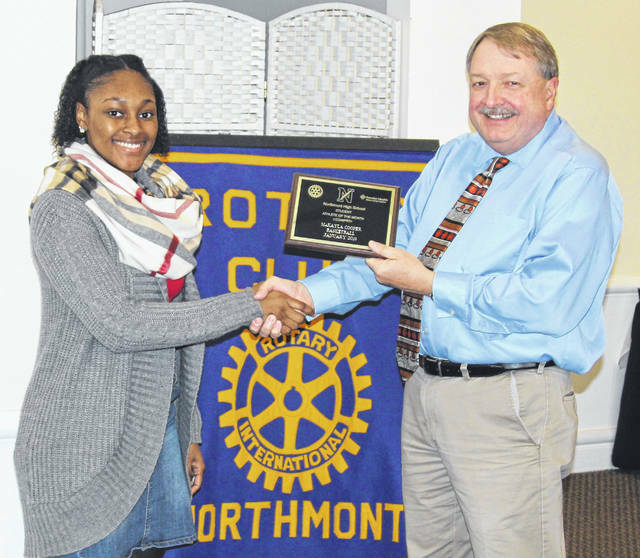 CLAYTON — MaKayla Cooper and Ifeanyichukwu Nwanoro were honored Tuesday as the Northmont Rotary Club’s Athletes of the Month for January. Cooper is a senior on Northmont’s varsity girls basketball team. The award recognizes Cooper’s contributions in the basketball court, in the classroom, and in the school community as well as the local area. Nwanoro is a senior member of Northmont’s boys varsity basketball team. In addition to outstanding athletic performance in the gym, Nwanoro makes significant contributions to the school as well as to the entire Northmont community and is an excellent student. The Sports Medicine Center at Miami Valley Hospital North co-sponsors this award in conjunction with the Northmont Rotary Club. The Northmont Rotary Club meets at noon each Tuesday at Meadowbrook at Clayton, 6001 Salem Pike, Clayton.